We really don’t need to tell you much about Campi Nuovi, Daniele Rosellini and Nadia Riguccini’s winery in Montecucco: Their website is one of the best we’ve ever seen in the Italian wine trade and it is teeming with great info on their approach to growing grapes and winemaking. Montecucco is an appellation that lies just southwest of the Montalcino DOCG on the way to the seaside. Paganico (pronounced pah-GAHN-ee-koh) is the main town in the appellation. 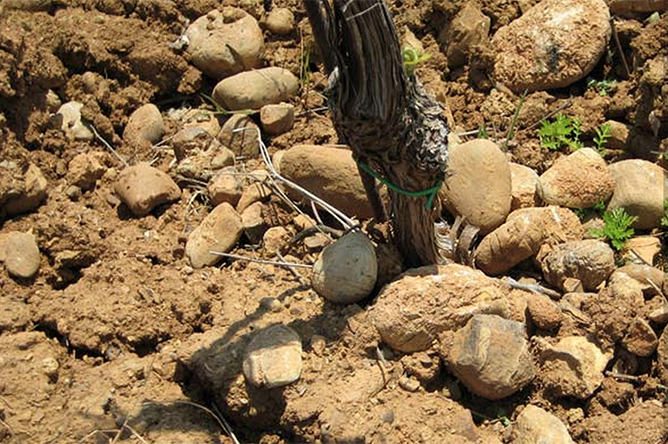 Many would argue that Montecucco has a lot of the same viticultural elements as Montalcino: Maritime influence and stony subsoils (see the photo below), excellent elevation and exposure etc. 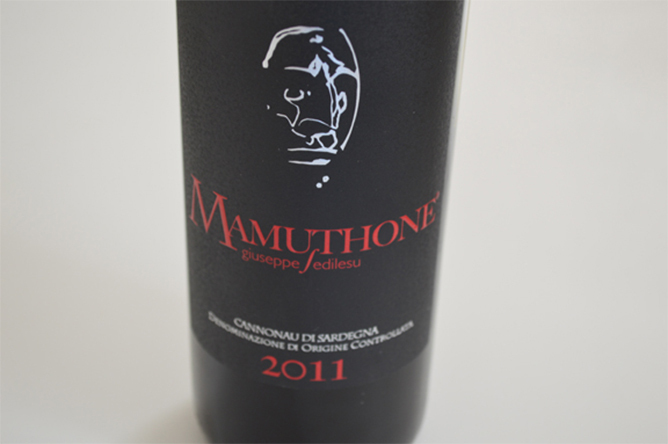 And while the appellation is widely known to produce fresh, bright, and very quaffable expressions of Sangiovese, no winery there has made a mark of true greatness — until now. After receiving a degree in enology, Daniele worked with celebrated “taster” Giulio Gambelli (who passed just a few years ago). Known as the bicchierino or little glass, Gambelli was the last mohican of a generation of winery consultants who simply tasted wines from cask and vat and then advised the winemaker on how to handle and blend the wine. He was arguably the greatest “taster” of his generation and he is widely credited with having singlehandedly revived the Tuscan wine industry in his lifetime. 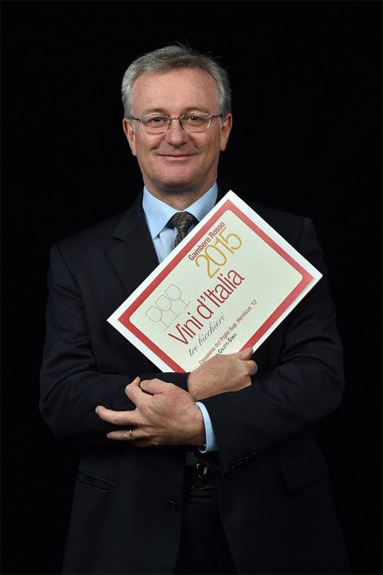 Daniele and he worked together at the famed Case Basse estate with winemaker Gianfranco Soldera. To put things in context, even Soldera, who is known for his vast knowledge of fine winemaking and his steadfastness in his approach to viticulture, saw Gambelli as a winemaking giant. 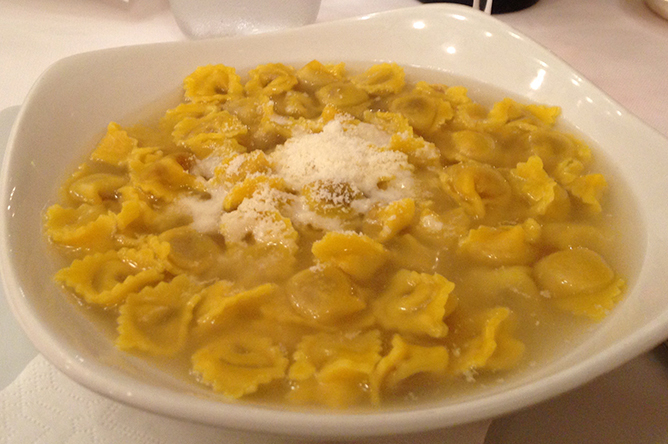 After leaving Soldera, Daniele and his wife, who also has a degree in farming science, launched Campi Nuovi. Some would call him one of Gambelli’s last disciples. Today, their estate is farmed biodynamically and is organically certified. Again, check out the site here. And in the cellar, they use large, traditional Slavonian casks for aging. 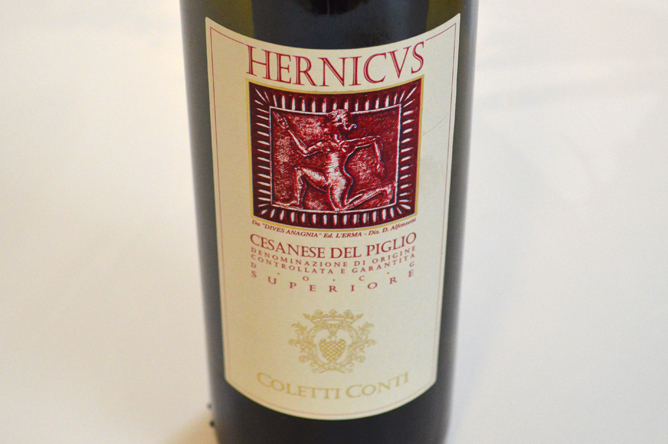 If ever there were a Montecucco winery that had a shot at entering the Pantheon of Sangiovese greatness, this is it. And in the meantime, you’ll certainly agree that the wines have the verve and “electricity” that come from maniacal vineyard management and healthy subsoils that are rich in nitrogen thanks to cover crops and organic farming practices. Watch Daniele and Nadia’s wines closely. They are destined to become classics. And in the meantime, enjoy these delicious wines! Above: The Barolo appellation as seen from La Morra village township where Cascina Ballarin is located. Click here for the winery website (highly recommended and full of great information about the wines). She still hasn’t reviewed any of Cascina Ballarin’s current-release wines since she moved over the Robert Parker, Jr.’s Wine Advocate. But while she still at Wine Enthusiast, Monica reviewed a number of the winery’s releases, with glowing notes and fantastic scores. Cascina Ballarin’s Barolo Bricco Rocca comes from the La Morra area of the Langhe and offers intense aromas of blue flower, violets, almond flowers, cinnamon and powdered licorice. The focus here is on elegance and harmony and the mouthfeel follows through with power and determination. This is a truly beautiful wine. 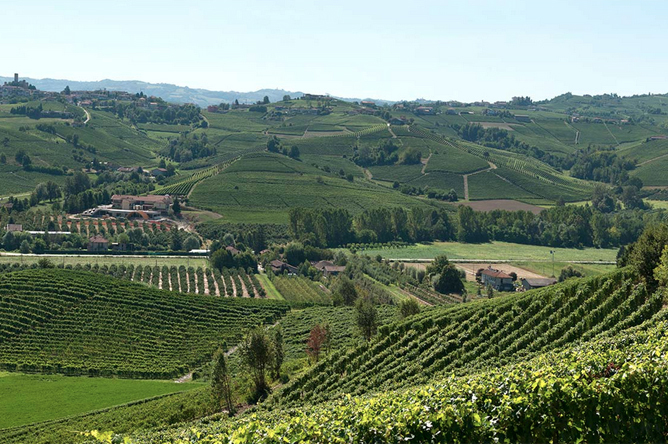 Barolo Bricco Rocca still needs a few more years in the cellar to allow for full integrations of its spice, fruit, tobacco and mineral components. This beautiful wine is ripe with potential and the mouthfeel is plush and velvety with a wonderful fade of smoke and black fruit. Barolo Bricco Rocca boasts its own personality that puts more focus on broader, horizontal aromas of Graham cracker, dried grass and spice rather than vertical notes of cola and mint. Because of its unique traits, this wine would pair with stewed meats or baked white beans. Click here for all of her ratings of recent releases for Wine Enthusiast. Above: Cascina Ballarin ages its Barolo in traditional large-format Slavonian casks, an essential component to creating the classic style of these wines. Cascina Ballarin may have a lower profile than many of the sought-after Barolos from marquee-name wineries that we all know and love (and can scarcely afford!). But as we can see from Monica’s tide of 90+ scores for the wines, they are world-class Barolos that can compete with their more famous counterparts. The wines are classic in style. 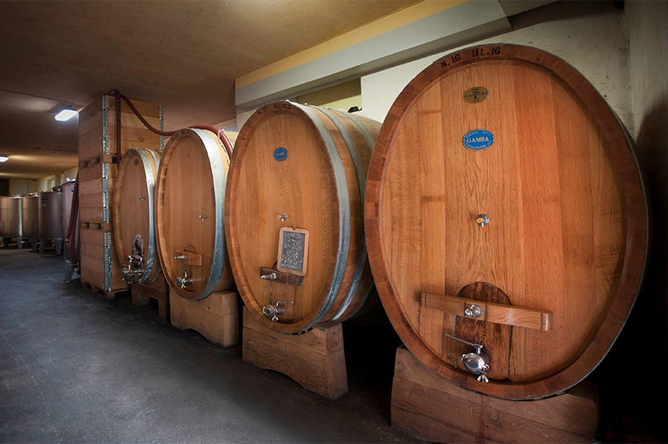 Beyond temperature-controlled fermentation, the winery embraces a traditional approach to the wines: Large-format Slavonian oak casks (like the ones in the photo above) oxygenate the wine slowly without imparting any wood flavors. The resulting wines are earthy with classic notes of tar and truffles complemented by vibrant red and berry fruit. Cammarata in central Sicily is widely known as one of the highest elevation growing areas for Nero d’Avola. It’s also one of the oldest centers for the production of fine wine. As early as the fifteenth century C.E., Italian ampelographers and natural historians had high praise for the wines made there. In antiquity and throughout the Middle Ages and Renaissance, Sicily was referred to as Italy’s “bread basket.” Its vast stretches of fertile farmland, the abundance of sunlight and hot summers, and the mediterranean winds make it an ideal region for the cultivation of wheat and citrus, for example. But historically and especially before the modern era of technology-driven winemaking and temperature-controlled fermentation, producing fine wine there was extremely challenging. It’s important to keep in mind that for centuries, Marsala was the only wine to be shipped out of Sicily in significant quantities. Today with the advent of Etna and Vittoria wines, that’s all changed. But in Cammarata, fine wine production has always been the focus of growers, stretching back to the Renaissance and beyond. Image via the winery website..
To what can we attribute this anomaly? The answer is simple: The high elevation. And not only does the high altitude and hilly landscape create the ideal conditions for growing fine wine grapes, it also allows grape growers like Feudo Montoni to work without the use of chemicals. The temperature variation between night and day at that height helps to cool the grapes every evening and keep them well ventilated and dry. And this is the key. It allows the grower to let the grapes achieve full ripeness because she/he can leave them on the vine until they are ready to be picked without great risk for rot or mildew. The Feudo Montoni Catarratto Vigna del Masso is a certified organic wine that’s grown at roughly 700 meters a.s.l. 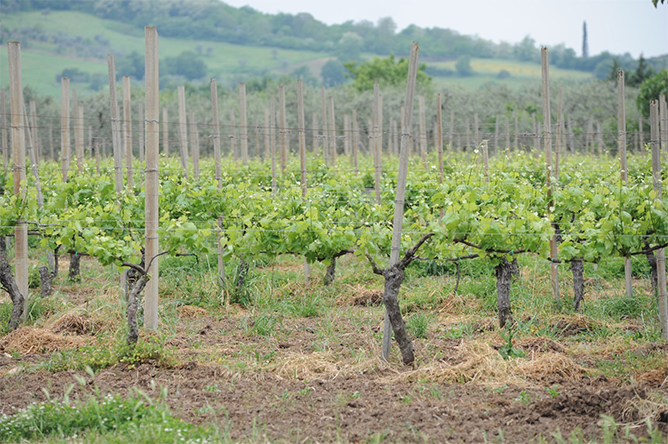 The fifty-five-year-old vines are head-trained (known as Alberello in Italian), which means that they essentially grow out of the ground like trees without trellises. It really doesn’t get much more “natural” than that! 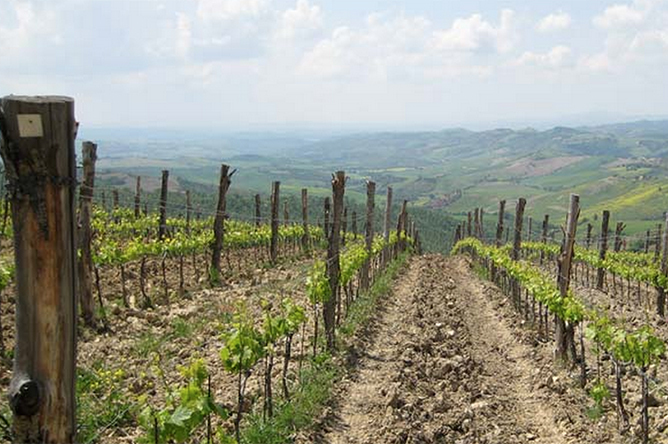 And the sandy soils of the Cammarata hills force the vines to dig deep into the soil. The resulting “vigor” of the plants makes for a very rich expression of Catarrratto with healthy minerality and nuanced spice, stone fruit, and nutty notes. Above: One of Ippolito 1845′s vineyards. Note the hills in the background. 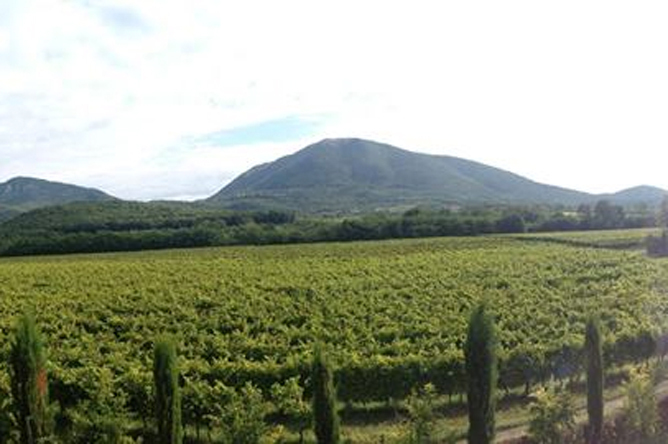 Many don’t realize that even though it lies along the coast, Cirò is actually a mountainous growing area. Ippolito 1845 is one of those great family-owned and -run Italian wineries that already enjoyed immense popularity in the 1960s when Italy’s “economic miracle” helped the first wave of the Italian wine renaissance to take shape. But the even better news is that even has the winery has passed from one generation of the Ippolito family to the next, the winemakers have kept their family traditions intact and the wine continues to be produced in the “traditional style” of the Calabrian winemaking legacy. Yes, it’s true that they’ve introduced some modern technology like temperature controlled fermentation and stainless-steel vinification for its ready-to-drink wines (and a snazzy, super cool website). But they’ve also remained devoted to large-cask aging of its top expressions of Gaglioppo. Made from 100 percent Calabrise grapes, the Calabrise is one of its entry-tier wines and is vinified and aged in stainless-steel. Fresh and clean on the nose, this highly approachable wine is juicy and fruit-driven, with gorgeous ripe red fruit flavors balanced by gentle tannin and wonderful minerality. 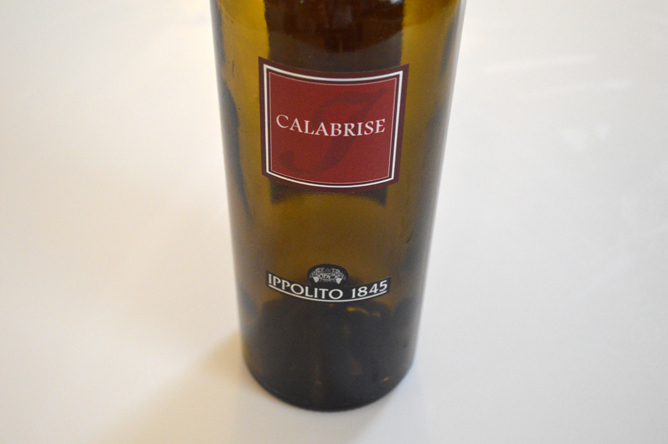 Calabrise (or Calabrese) is the same grape as Sicily’s Nero d’Avola. A lot of people erroneously believe that Calabrese is so-called because Nero d’Avola originated in Calabria. 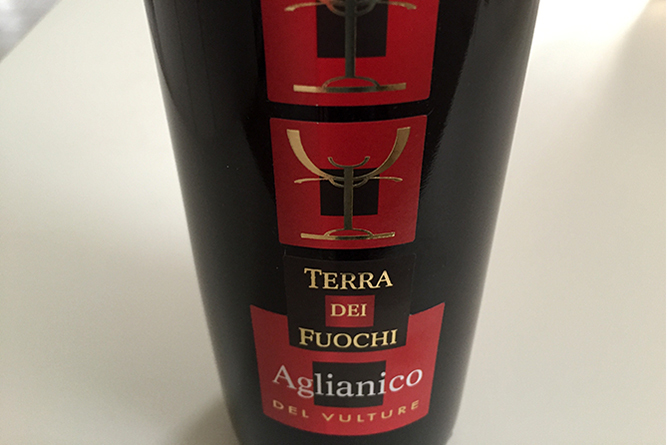 In fact, Nero d’Avola most likely originated in Sicily. The grape name actually came from a linguistic corruption of Colla-anlisi which means “Avola grape” in Sicilian dialect (colla means grape and anlisi means Avola). 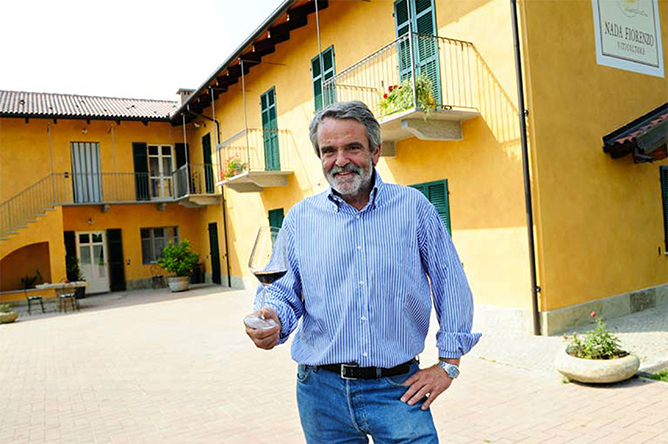 Anton Maria Coletti Conti (below), owner of the Coletti Conti winery in Lazio (Latium) in central Italy, is widely considered to be one of the greatest producers of Cesanese del Piglio, a red wine made from Cesanese grapes in Piglio, Serrone, Acuto, Anagni, and Paliano in Frosinone province. Many people know the famous white wines of Lazio (the region that claims Rome as its capital) like Castelli Romani Bianco, Frascati, and Est! Est! Est! Those wines have been famous in the U.S. for generations now, especially Frascati, which together with wines like Soave, Valpolicella, Chianti, and Verdicchio, were wildly popular in America in the 1970s. But aside from diehard Italophile wine lovers, few know Cesanese del Piglio, with its lively acidity, its balanced alcohol, and its characteristic “white pepper” note. They were famous for their resistance to Roman expansion and for centuries they opposed Rome before being absorbed into its orbit. 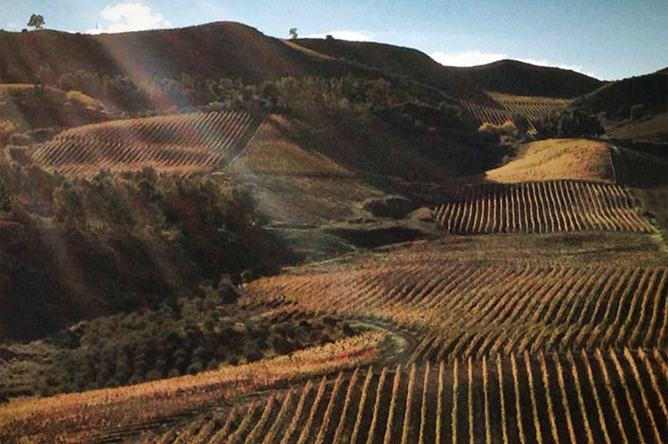 The hills where Anton Maria grows his wines are named after them: the Monti Ernici. They are part of the sub-Appennines and its their elevation that allows winemakers like Anton Maria to achieve the freshness and acidity that sets Cesanese del Piglio apart as one of the great red wines of Italy. 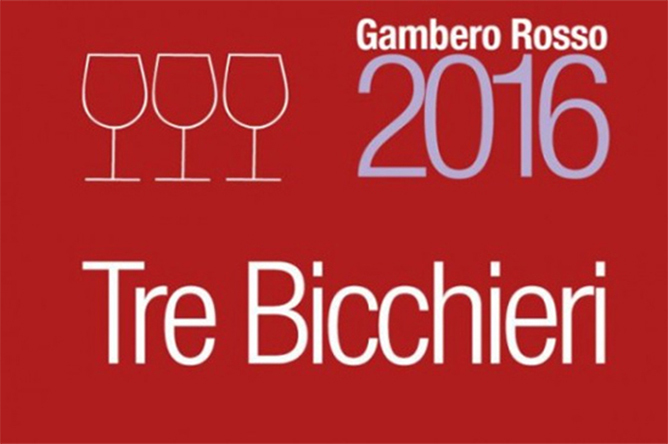 Anton Maria has won countless awards for his wines and his 2012 Cesanese del Piglio not only won the coveted Tre Bicchieri award from the Gambero Rosso Guide to the Wines of Italy 2015, the publication’s top rating. 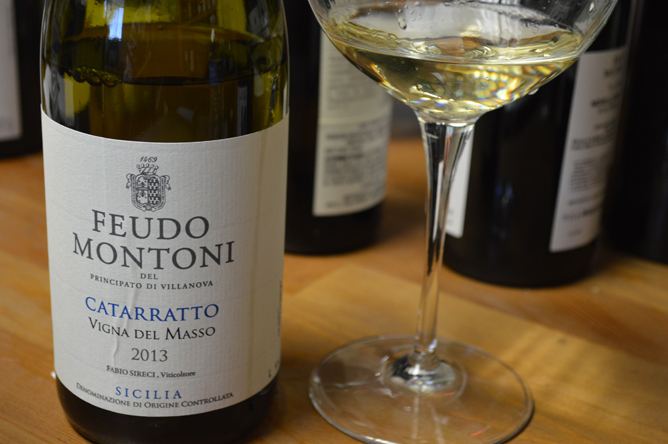 But it was also named “one of the best wines in Italy,” by the prestigious Guide to the Best Wines of Italy (2015), receiving 92 out of 100 points from the guide’s editors. According to his website, Anton Maria carries out alcoholic fermentation for his wines in stainless steel and then performs malolactic fermentation in used barriques. The wines are then aged in used barriques and then in bottle. The natural micro-oxygenation of the casks gives the wine an elegance and nuanced flavors that you rarely find in Cesanese del Piglio, however good the wines may be. And the fact that he always uses casks that have been used previously ensures that they do not impart any oakiness. The wines are brilliant and once you taste them, you’ll understand why they call him the king.